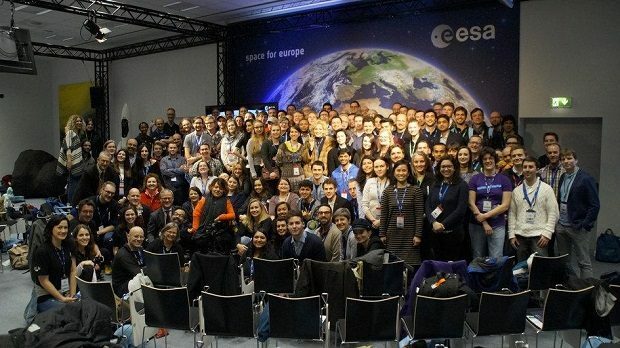 A week ago today I was lucky enough to attend the Sentinel-2B satellite launch event held at European Space Operations Centre (ESOC) in Darmstadt, Germany. Being present at the launch gave us a unique insight into the remarkable science, engineering, businesses and applications, which are feeding into the EU’s Copernicus environmental monitoring system. 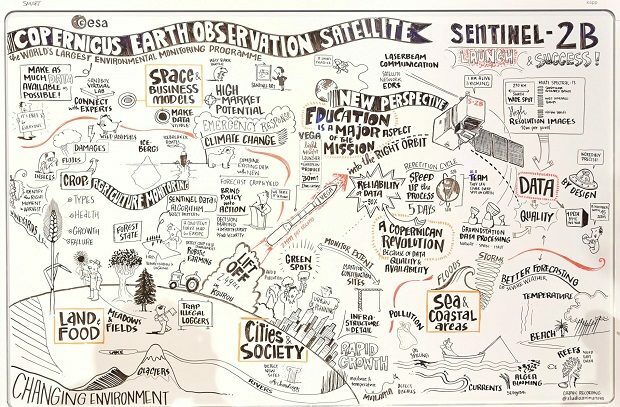 Copernicus is the most ambitious Earth observation programme to date, and the European Space Agency is developing a family of satellites called Sentinels to meet its operational needs. The datasets from Copernicus are all completely open giving everybody free access to petabytes of new information on our earth’s status. Full coverage of the live event can be found here. Sentinel-2B joins an identical satellite placed in the same orbit (Sentinel-2A launched in June 2015), flying 180° apart. Each is designed to perform terrestrial observations in support of services such as forest monitoring, land cover changes detection, and natural disaster management (all of which Defra is already using or exploring). When both are operational (later this summer; 2A became fully operational in October 2015), it will take 5 days to cover all land surfaces, large islands, and coastal waters at the equator, with revisit times set to be as high as 2 days in higher latitudes. Each Sentinel-2 satellite carries an innovative high-resolution multispectral camera with 13 spectral bands, which can capture images from the far-blue end of the visible spectrum (picking up coastal spray and atmospheric scattering) to longer red spectrum and shortwave-infrared (for vegetation cover and leaf chlorophyll content, and non-vegetation, respectively). The combination of high-resolution, high frequency, novel spectral capabilities and a field of vision covering 290km, cloud permitting, will provide increased capacity for environmental monitoring. Exploiting this new information has been the main focus of the EOCoE’s work since its inception. The Joint Nature Conservation Committee (JNCC) has been generating Sentinel-2A Analysis Ready Data and distributing these datasets to numerous organisations within Defra, Scottish and Welsh governments. The data has many applications that were nicely illustrated by an artist at the launch event. This work is part of wider efforts to encourage the use of EO in Defra and across government, which is also supported by the UK Space Agency’s Space for Smarter Government Programme (SSGP). 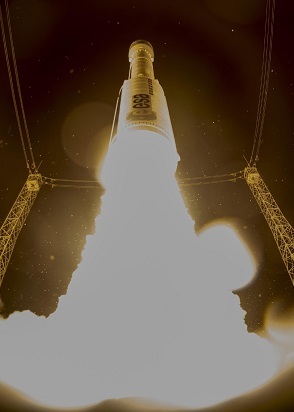 More information on Sentinel-2 ARD can be found here. 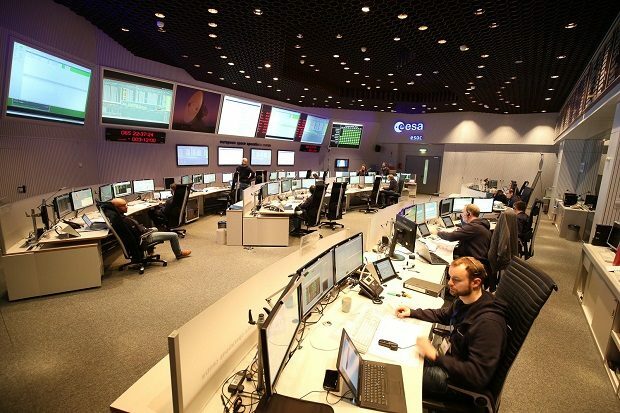 The social event, #Sentinel2Go held at ESOC, which coincided with the launch, took us behind the scenes at the operations centre. The hard work that goes into monitoring and running satellites and outer space missions, a 24/7 job, became evident. 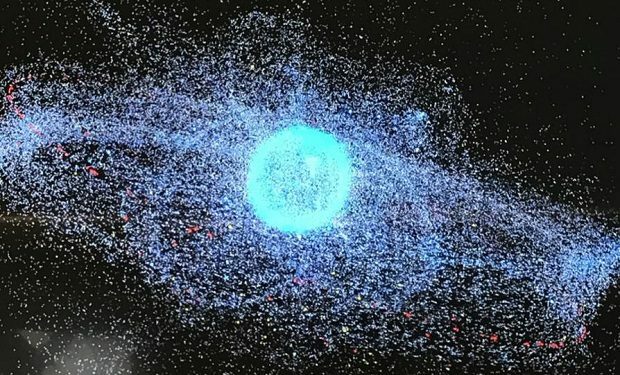 The amount of space debris surrounding the earth’s orbit, which ESOC are also monitoring to avoid any collisions that could severely damage any of their operational satellites is staggering.